So, there I was, getting ready to hit my friend Henry’s Christmas Eve party, when lil man calls me out for attempting to look “ratchet”. I switched to video mode to capture the moment. Depending on who you listen to, rice importation accounts for a forex pull of between $1-2.6B annually. We also have a domestic supply gap of 1.3 million tones, which represents the import allocation given to some 20 companies for 2015. Of the 41 items on the CBN forex rate restriction list, this seems to be the highest dollar pull. It is also the only one that translates to food on the table for all strata of Nigerians. I am not an advocate of bans. I’m a promoter of free markets, supply/demand, competition and consumer centred market balancing. However, I have to admit that an outright prohibition of the importation of the common long grain parboiled rice would spell a great relief for the Naira.
. What did we eat before rice came?
. Would the non availability of imported rice spell a food crises?
. Are there alternative foods out there?
. What unique nutritional value does rice have that is not found in other ubiquitous alternatives like yam and the cassava variants?
. Will banning the importation of rice spark a leap frog in rice farming/local production and increase employment and agro business entrepreneurship?
. What other benefits can accrue from a ban on rice imports? Would it allow for flexibility with some of the other constraints that we are now facing with discretionary Forex based spending, international commerce, travels, and other sectors? Is this a good trade off? 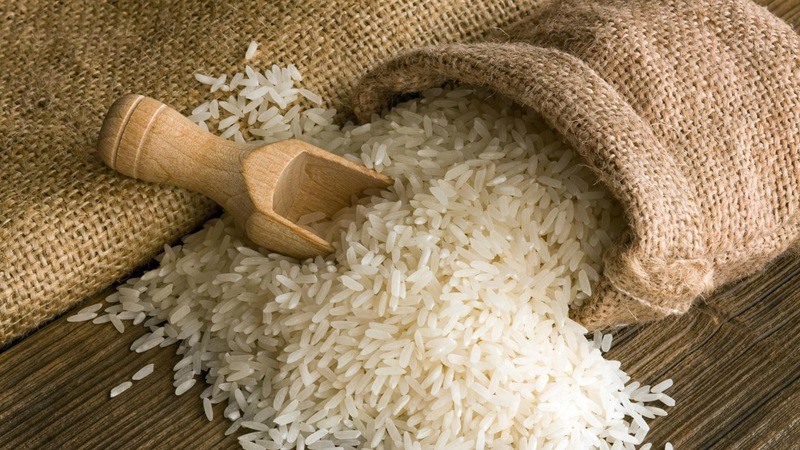 Remember we would not lose much income from import duties as the rice importers enjoy waivers from government running into tens of billions of Naira annually. Did I miss out any other pertinent question? Ask in the comments and we may get an answer. I started supporting Chelsea in 1996 when the Club signed Rudd Gullit – Dutch Legend and one of my favourite players – as Player-Manager. His signing thereafter of Celestine Babayaro of the famed Olympic gold medal-winning Dream Team sealed my affection for the Club. Building on the groundwork of Glenn Hoddle, Gullit built a new brand of attacking football by signing continental stars like Zola, Di Matteo, Vialli Casiraghi and others. The Club had moderate success winning an FA Cup and the UEFA Cup Winners’ Cup and Super Cup within 2 years. The Vialli and Ranieri eras consolidated on this string of successes. However, with the advent of the Jose Mournho the story changed. The exploits are carved in the annals of the Club’s history. I won’t go into the details. However, the truth of the Club’s situation this season is apparent to all. What we have witnessed is the unanticipated decline of Titanic proportion of Chelsea Football Club. This situation is perhaps the best example of the proverbial perfect storm: every possible variable has aligned to turn a a group of Champions into complete non-starters. Many theories abound as to how this all came to be. Below are some of the elements I believe contributed to what culminated in the Club’s decision to terminate Jose’ contract. 8. Lack of enough big characters in the dressing room…coupled with a few journey men who don’t have the same passions as the old guards a la Lampard, Drogba, etc. 10. Instances of clear sabotage through poor performance by some key players. The Leicester match was in my opinion of some not playing for the shirt. Player power! With the level of ‘patience’ demonstrated by Roman this time around, it is understandable that the proverbial “something’s gotta change” meant the easiest option is the manager’s sacking. However, in my opinion this decision (as justified as it is) comes with collateral damage of setting the club back many years. First you can’t find too many top managers willing to come Chelsea with the pressure of achieving the same of success in a short period of time. And many of them wouldn’t have the same passion as Jose. Moreover, the long term plan of creating a stable club has been derailed. Finally, all the parties have to take their share of responsibility for what is an utter mess. It’s been a sad day. You see, I maintain that our society still has a long way to go where value for human lives is concerned. When we were jealous of how the whole world rose up and showed up for Paris, it did not occur to us that we barely spend a second pondering on our own losses at home, talk less of escalating them to an international audience. The government and the press are the most complicit. I’ve been watching TV all morning. No TV station investigative team has been sent to Zaria or even Kaduna to continuously interview folks on the streets, speak with victims and witnesses, bring out the human side to a bad situation, etc. Also, no team of legal and security experts have made this a focused issue on air, beyond the usual news bit opinion. All because they want to remain on the good side of government with regards to getting PR work, etc. Anyone noticed how we do not have figures for the injured and casualties, etc.? Has it not been mostly speculative? Imagine same scenario in France, England or the US? I remember following the siege in Waco Texas at the Branch Davidian compound in 1993. From the original raid on February 28, through the initial fatalities on both sides and the long standoff that followed, up until the final tragic showdown in April 19 and its aftermath. It was a period of great learning for me. Watching the various interviews, background reports on the prominent figures, justice system deliberations until no less an entity as the attorney general gave the final order for federal agents to re-enter the compound and engage, using requisite force. It was a live movie. All this while they were going back and forth and relating it to the similar situation that happened with Reverend Jim Jones’ religious group at Jonestown, Guyana in 1978. It was an eerie feeling seeing the sign leading to Waco, Texas on a road trip to Dallas from Houston, 15 years later. It sparked up a new discussion between me and my wife as we shared notes from the past. And our government? They’ve not changed their cloak of lack of empathy, even with the new regime. You will hear excuses like a press blockage to calm down nerves and not to compromise “investigations”, etc. All inexcusable. Now this does not change my position on how sensible and safe behaviors could have prevented this disastrous outcome. At a more opportune time, we shall discuss the root causes, security/legal aspects and recommendations. “Where any person through text message, tweets, WhatsApp or through any social media post any abusive statement knowing same to be false with intent to set the public against any person and group of persons, an institution of government or such other bodies established by law shall be guilty of an offence and upon conviction, shall be liable to an imprisonment for two years or a fine of N2,000,000.00 or both fine and imprisonment”. This bill has passed its second reading on its way to being voted for on the senate floor. Freedom of speech never gave one freedom from the consequences of speech. We all know about the preponderance of emergency online “news” pages and all the dissemination of falsehood and incitement that they are used for. That said, there are existing laws to address hate speech, sedition, treason, call to violence and even slander and defamation. With the amended evidence act, electronic evidence can now be used against people in court. This is where the social media targeted bill fell off tangent. It was not necessary, would address no new issue but would serve to send a message of censorship on social media. This is the crux. The recent amendment of the Evidence Act in 2011 was intended to provide for the use of such electronic evidence in court proceedings. The real concerns are that lawyers are still getting abreast with the technicalities guiding the admissibility of the said electronic evidence. A classic case in point of where this was unsuccessful due to poor presentation was Kubor v Dickson (2012). In this case the Supreme Court ruled that the appellants failed to meet the conditions spelt out in the section 84(2) of the amended evidence act of 2011. What the senate should have been looking at was how easy it was to tender electronic evidence based on the stipulations and guidelines of the act. From the standpoint of not being a lawyer or an IT guru, the language and goals of the following stated conditions are hazy at best. The information contained in the statement was supplied to the computer in the ordinary course of its normal use. Signed by a person occupying a responsible position in relation to the operation of the relevant device or the management of the relevant activities. Just think how this would work with a Facebook post or a WhatsApp broadcast? You can see how fraught with difficulty executing such evidence can be. I believe there is opportunity for the senate to simplify the electronic evidence parts of the evidence act and its conditions/guidelines towards making it easy for such evidence to be presented and admissible in our courts. This is where they should be focusing their energies on with regards to the issue of consequence for behavior online. Electronic Evidence in Nigeria – Timothy Tion (http://sas-space.sas.ac.uk/5717/1/2126-3117-1-SM.pdf ) This document from Mr. Tion analyzes several cases of failures and successes of electronic evidence based litigation in Nigeria. very interesting read, I promise you. What is Lagos to You? 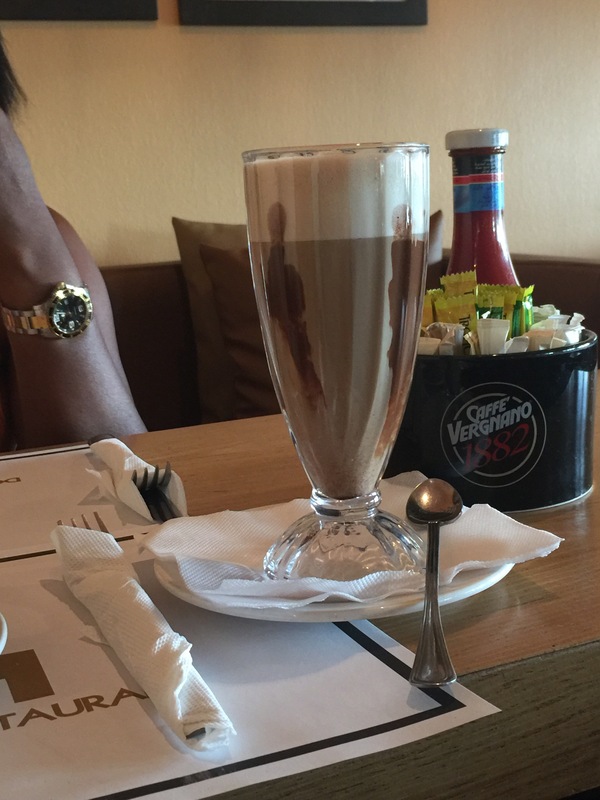 Lagos to me, is as simple as a tall glass of extra cappuccino latte to spike up my mid day hustle. What defines your Lagos? Let us hear you. You are anti Women, Men, Gays, Moslems, Christians, Religion, North, SE, SS, SW, Middle belt, my people…. OK. We will speak about sensitive issues. We will do so sensitively and in a way that adds value, makes us learn, removes barriers and not worsen the situation. We will also ensure we regulate the discussion space so it does not degenerate into ugliness and anarchy. This is called a parachute. It is a contraption used by pilots of fighter jets that have been hit by enemy fire. They launch themselves into the safety of a soft landing escape just before the plane crashes. Those who send gullible ones to the streets to cause trouble and get killed or arrested and tried for treason (after burning flags), usually have one of these for themselves and several others for their families. Sometimes it’s foreign currency stashed in the vault, a foreign passport, a five year visa, children schooling abroad or just plain anonymity. What do you have? Don’t be foolish. Don’t be the collateral damage of someone’s ill-advised actions.